I love Glamping – the smell of woodsmoke, the outdoors, camp fire hangouts, being in nature. In fact when I got married five years ago we hired a vintage camp site, had an outdoor ceremony which was conducted by a friend, played village fete games while drinking cider in the sunshine and a then a whole group of my friends and family glamped in bell tents and tipis for the weekend. I think I’d go so far as to say outdoorsy, glamping, woodland weddings or weddings in nature are some of my favourite kind, so I thought I’d share some of the best glamping wedding venues that the UK has to offer. Before I go any further, though, please do keep me in mind as your wedding photographer for your glamping wedding. I’d love to be a part of it. Especially if you’re looking for someone to lead a camp fire sing along (badly). You can check out my work on my blog or galleries. Here are some three of my favourite glamping wedding venues. Fforest is pretty special to me as I’ve ran and taught at a big, week long retreat and festival for wedding photographers there for the last few years. It’s absolutely magical and that’s one of the reasons we keep going back. 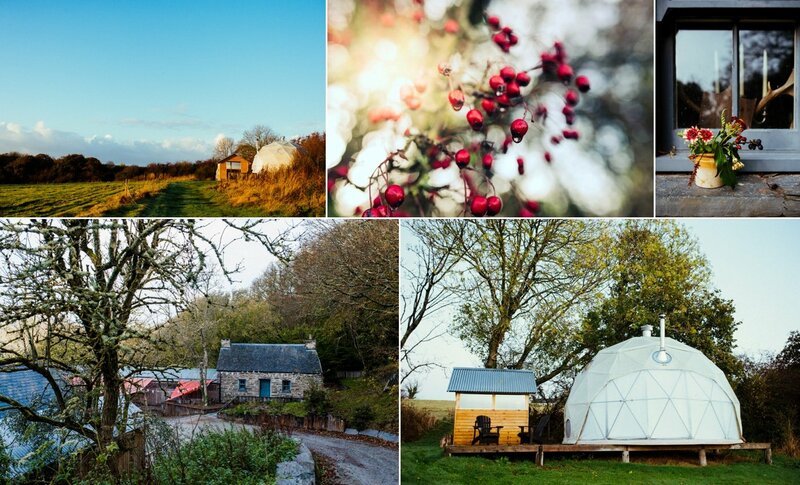 I love the beautiful 200 acre farm, from the tiny onsite pub to the beautiful quarry, to the wood-fired sauna to the wonderful accommodation options like geodesic domes and crog lofts. There are several beautiful spaces you can use for your glamping wedding ceremony, from a former quarry to a kata style tipi and Fforest can arrange everything from BBQs to activities to trips to the beautiful Pembrokeshire coast. While I have a special connection to Fforest I’m still yet to photograph a wedding there, so if you’re looking for a photographer please do get in touch as I’d love to be a part of your day there. If the tree houses on their own aren’t enough to get you excited, the rest of the site surely will. 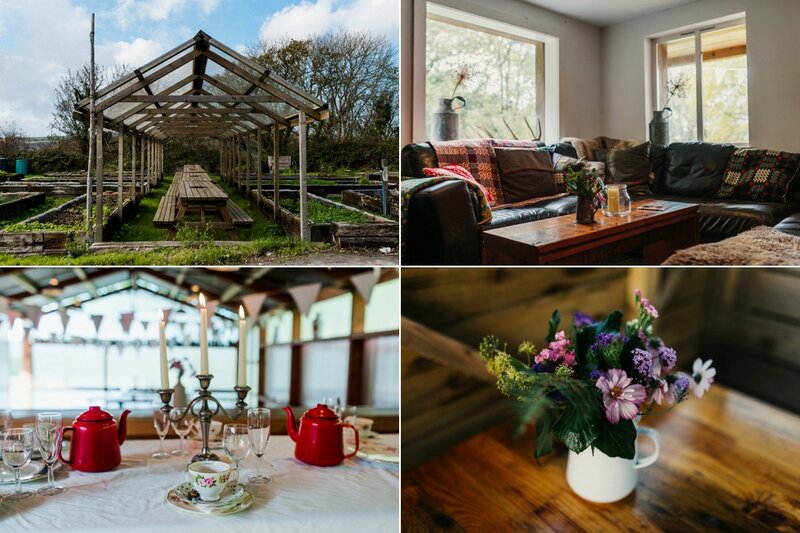 Colourful, quirky decor, plenty of different accommodation types and lots of event spaces, including those that work in wet weather, sit alongside floating water meadows, ancient trees, lakes and formal gardens. West Lexham is also 90% run on renewables with solar panels for power and a wood-chip boiler for heat. I had the pleasure of photographing Laura and Brian’s West Lexham wedding a couple of summers ago and I fell in love with the place. 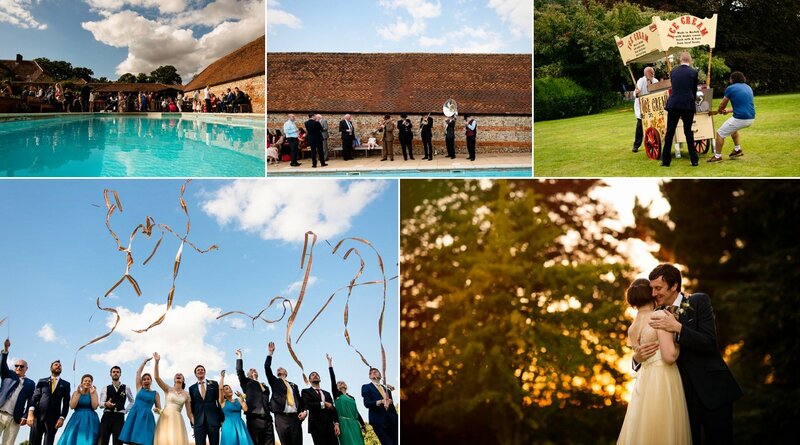 Drinks by the pool, a ceremony by the lake and the most beautiful sunset light you’ve ever seen. 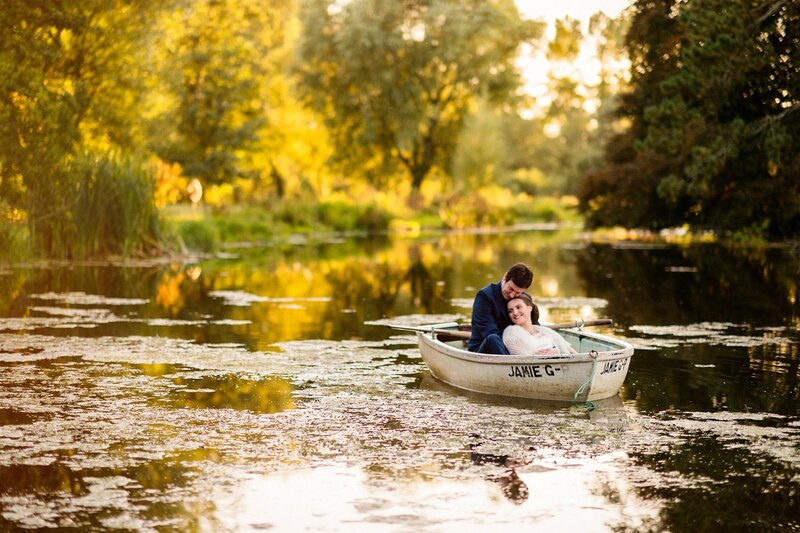 I am dying to get back for a visit or to photograph another wedding there! Pete and I stayed here quite a few years ago, in one of their beautiful tree lodges. They’re completely off the grid, with only candles for light and a wood burner for heat and to cook on. It was absolutely wonderful. They also have yurts on site and a pretty little cafe and you can bring in your own marquee or tipi for your celebrations. 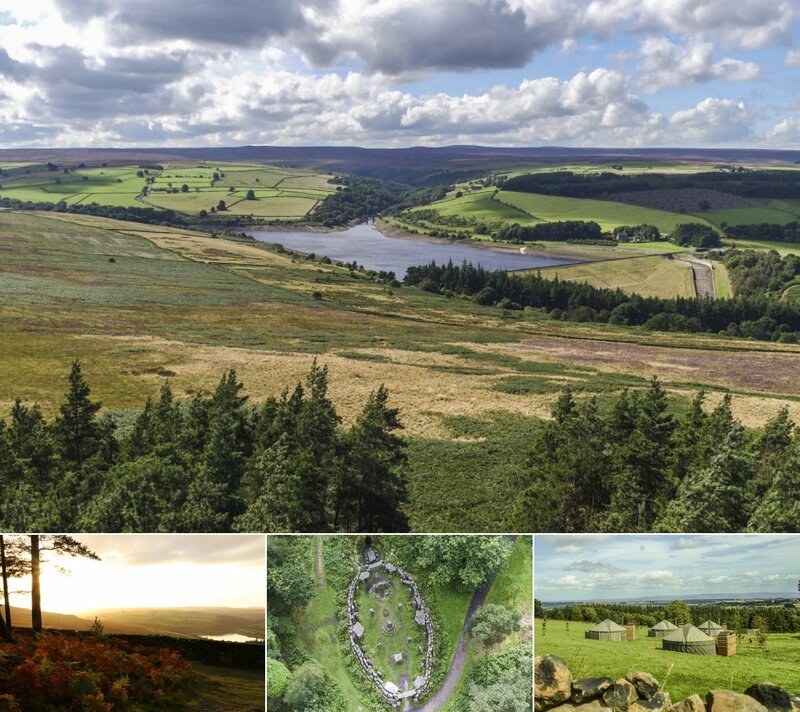 With amazing views over the beautiful Yorkshire Dales and their own folly – a mock druid temple built in the 1800s! – Bivouac would be a wonderful place to spend your wedding. It’s pretty close to a number of towns so the non glampers can find comfortable accommodation that suits them too. So there are three of my favourite glamping wedding venues. I know there are a whole load of amazing glamping venues across the UK and I’d love to visit more of them, so I can report back. If you’re looking for a wedding photographer who loves wood smoke, the outdoors and photographing couples exchanging their vows in nature then please do get in touch!